Politically ,Ireland is divided between the Republic of Ireland and Northern Ireland, a part of the United Kingdom. Capital of Ireland is Dublin. 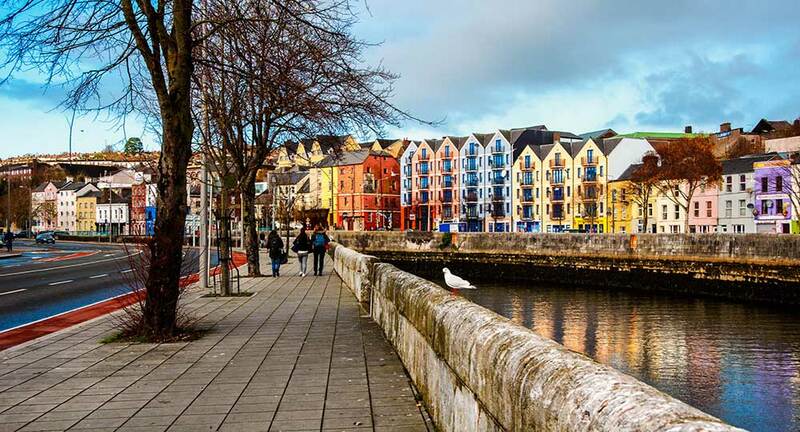 Cork, Galway, Maynooth & Limerick are some of the popular cities of Ireland. Population of Ireland is approximately 48 Lakhs and the Urban population of Dublin is approximately 13 Lakhs. Low cost of tuition fees & accommodation. Internationally recognized qualifications & extensive choice of courses. European Headquarters of many IT & Pharmaceutical companies. Masters degree of 1 year. Post study work visa of 2 years for Masters. Post study work visa of 1 year for Bachelors (Hons). Chance to get indefinite right to stay (Permanent Residency). Universities: There are 7 Government-funded universities providing undergraduate, postgraduate & research degree programmes. Institute of Technologies: There are 14government-funded institutes of technology. They offer a wide variety of programmes which can be both academically and vocationally focused. Colleges: Mostly private, they offer a range of programmes including professional certificates, diplomas, undergraduate & postgraduate degrees in a diverse range of subjects.